Marty Kaiser, the former editor of the Milwaukee Journal Sentinel, has been traveling to small newsrooms around the country coaching teams through transition and change. In his newest piece for the Local News Lab he describes five lessons from his work helping journalists and editors navigate the big changes facing their newsrooms. The News Measures Research Project, led by Phil Napoli at Duke University, analyzed over 16,000 news stories from 100 communities across the United States. He found that 20 of these communities had no local news, and 25 had no stories that were original to news organizations in their community, about their local community, and addressed a critical information need. Further, only about 17 percent of news stories were about or took place in the communities sampled. This data paints a troubling picture of news deserts that exist even when there are news outlets in a region. However, to better understand gaps in people’s access to news and information, it is important to consider other studies as well. Michelle Ferrier at Ohio University has created a Media Access Research Atlas as part of her Media Deserts Project. It is an interactive map of all the places in the country where people live in media deserts. Both she and Penny Abernathy, of the University of North Carolina, have researched these issues for many years. Abernathy and the Center for Innovation and Sustainability in Local News will be releasing a new study on news deserts next month. Gather’s Emily Poole recently wrote a sentence that connected a lot with us here at the Local Fix: “Funding doesn’t have to be this scary thing we don’t talk about.” We know that navigating funding and foundations can be confusing, impenetrable, and exasperating. But it doesn’t have to be that way. Below, we’ve compiled a few recent and old favorites that share tips on how to successfully get financial support from foundations. They share a lot of similar threads. This is, in part, because some of the best in foundation world, such as Molly de Aguiar and Karen Rundlet, have made it part of their mission to demystify this sector. But also because their tips and suggestions are broadly applicable and useful. Do your research. Build relationships. Connect with local, regional, and topical funders. And give it time — this isn’t a process that will happen overnight, and it’s important to plan and strategize for that. Do you have any tips to share on how to get foundation funding from a local news organization perspective? 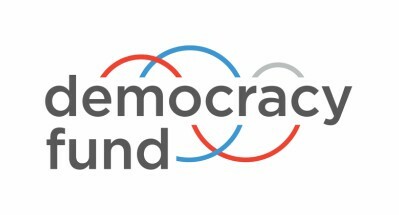 Send them our way @thelocalnewslab or localnewslab@democracyfund.org. A few weeks ago an article spread like wildfire through our social media feeds and we wanted to be sure you saw it too. It raises profound questions and suggests new ideas for those of us who care about the impact of journalism in the world. The piece focuses on what journalism can learn from experts in conflict resolution and negotiation. Jeremy Hay, the founder of Spaceship Media, is quoted early in the article arguing, “Conflict is important. It’s what moves a democracy forward. But as long as journalism is content to let conflict sit like that, journalism is abdicating the power it has to help people find a way through that conflict.” Amanda Ripley spent three months interviewing experts in navigating and confronting conflict across a range of professions to understand what journalists can learn. What if journalism is not having the impact it once had because we fundamentally misunderstand how to provide news and information in ways people can and will use it? “If we want to learn the truth, we have to find new ways to listen. If we want our best work to have consequences, we have to be heard,” she writes. “We need to find ways to help our audiences leave their foxholes and consider new ideas. So we have a responsibility to use all the tools we can find — including the lessons of psychology.” Below we have included a set of additional links we think complement the article and bring in additional context related to conflict resolution, systems thinking and journalism.